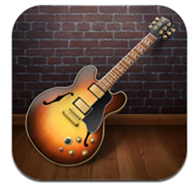 GarageBand Now Available For iPhone And iPod touch – Download Now! Apple has finally announced the availability of GarageBand for iPhone and iPod touch users after a long but worth-it wait. The news comes straight from Apple in the form of a press release published just moments ago on their very own website in which the company announces the GarageBand update, how popular the app is and how it is now available on the smaller-screened iOS devices such as the iPhone and iPod touch. Introduced first back in 2004 for the Mac, GarageBand is a popular productivity software app which allows users to create music and podcasts. It turns your device into a collection of instruments and, according to Apple at least, turns it into a “full-fledged recording studio”. There are plenty of instruments available to play around and create your next symphony with: guitars, drums, basses, pianos and organs. 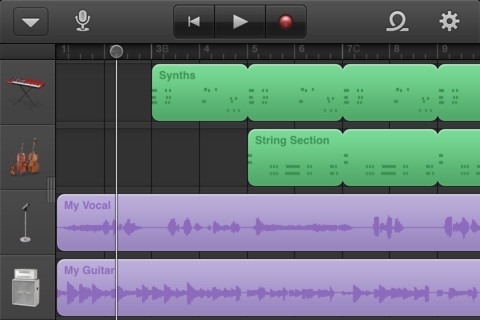 GarageBand’s main selling point is its extraordinarily easy-to-use interface and powerful features. It was introduced to iOS earlier this year for the iPad 2 and the original iPad and is, starting today, available for the iPhone and iPod touch. CUPERTINO, Calif.–(BUSINESS WIRE)–Apple® today announced that GarageBand®, its breakthrough music creation app, is now available for iPhone® and iPod touch® users. Introduced earlier this year on iPad®, GarageBand uses Apple’s revolutionary Multi-Touch™ interface to make it easy for anyone to create and record their own songs, even if they’ve never played an instrument before. We have tested the update on our mighty iPhone 4S and can confirm that it does work like it should. It isn’t as easy to use as it is on the iPad 2’s larger-screen, but it still is as fun to play around with. People who are serious about creating music should definitely stick to GarageBand for OS X, though. 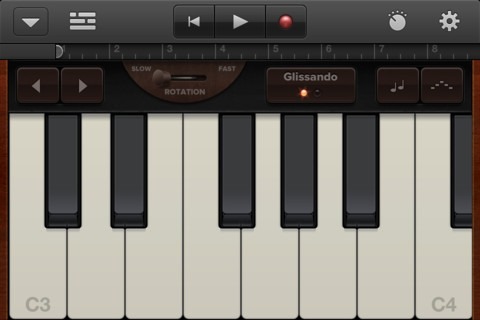 If you’re interested, GarageBand for iOS can be bought for $4.99 from the link embedded below. It is compatible with the iPhone 3GS/4/4S, iPod touch 3G/4G and iPad 1/2 on iOS 4.3 or later. 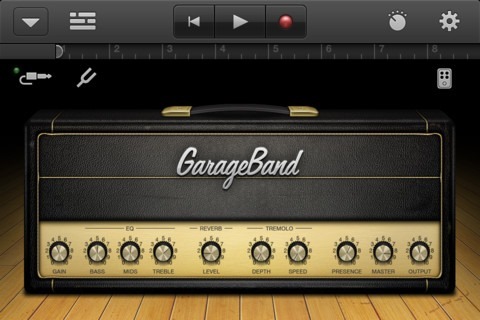 Do let us know what you think about GarageBand for iOS in the comments section over on our Facebook page.